Our PaaS system enables clients to manage multiple deployments through one simple interface. 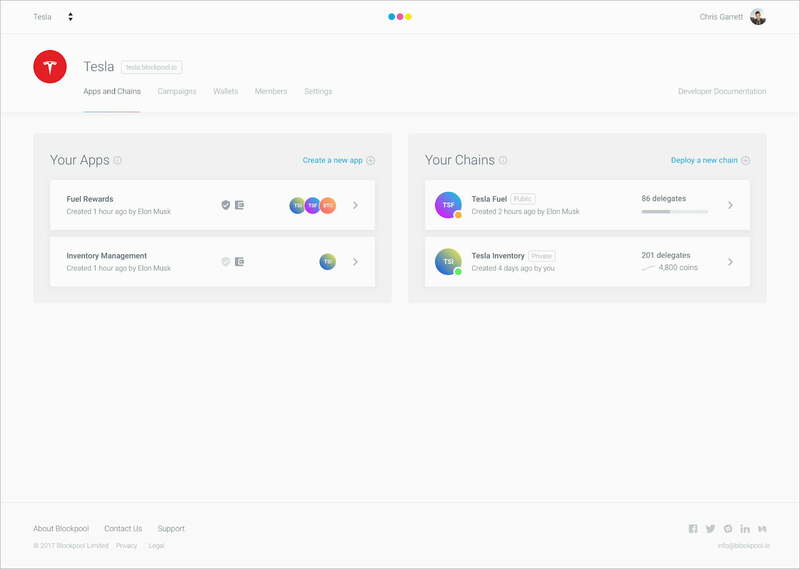 The management portal allows for easy configuration of your Blockchains and Apps, Campaigns, Wallets and Users. PaaS is available for large organisations and SME's looking to retain control of their own blockchains or to simply build apps and services leveraging blockchain technology.